Alan Pardew on club finances | NUFC Blog. Archive for tag: Alan Pardew on club finances. Alan Pardew has been talking to The Sunday Mirror – and his comments confirm what most of us now accept is happening at United. The “austerity” policy and supporting business model which Mike Ashley instigated when taking over the club, and which was highly criticised by many United fans, including myself, is achieving what it set out to do – to make the club financially sound and put it in a position to compete with the so-called “Big Clubs” at the top of the Premier League. 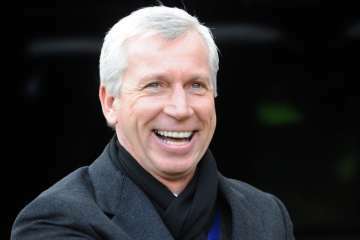 “Mike set out to make Newcastle self-financing and I knew exactly what that framework entailed when I took the job in December 2010. I’ve aimed to be transparent with the supporters and give them clarity about what we are trying to achieve and how we will operate in the transfer market.